H. Leap (6") 25 1/2"
V. Leap (3") 12 1/2"
Elasti-Girl was one of the premier supers during their initial time of greatness. She married Mr. Incredible just as supers were about to become unpopular. Independent-minded and eager, she nonetheless quietly settled down when supers were asked to hang up their capes. 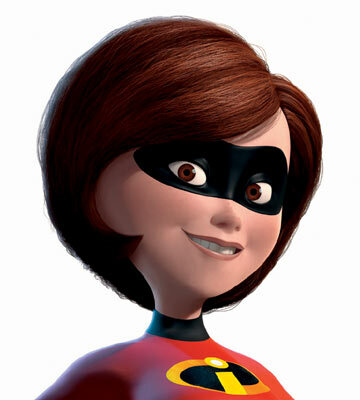 Helen Parr is a headstrong women who tries hard to keep things even keel in the Parr family, assuming most domestic duties. She has a temper, though, although she controls it well, it mainly showing up in flashes of angrily-intoned words and then quickly restrained. Elasti-Girl is an exceptional infiltrator as well as flexible in combat, serving both offensively and as combat support. She's tactically extremely keen-minded, as is her husband, and together they make a tough team to beat.